California University FCE’s General Report and Equivalency are included in the PHU graduation package. 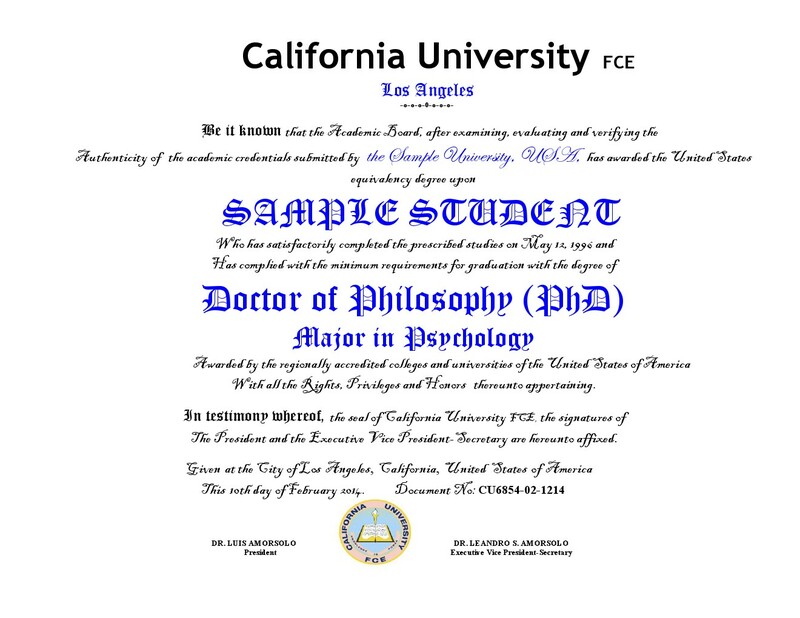 From now on for a limited period, ONLINE Bachelor/Master/PhD students who are DIRECTLY REGISTERED with us will receive a General Report and Equivalency Diploma from California University FCE. California University FCE reports are recognized by California Department of Education and the United States Department of Education through our memberships in higher education organizations wherein the U.S. Department of Education is also an organizational member. 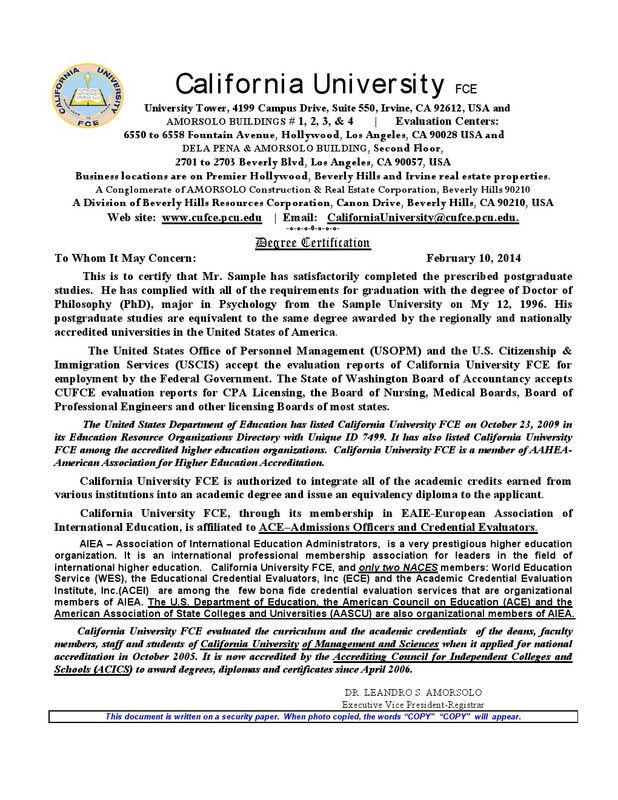 California University FCE evaluated the curriculum and the academic credentials of the deans, faculty members, staff and students of California University of Management and Sciences when it applied for national accreditation by the Accrediting Council for Independent Colleges and Schools (ACICS) in October 2005. It is now accredited to grant degrees and certificates since April 2006. California University FCE is affiliated to ACE-Admission Officers and Credential Evaluators through is membership in EAIE. 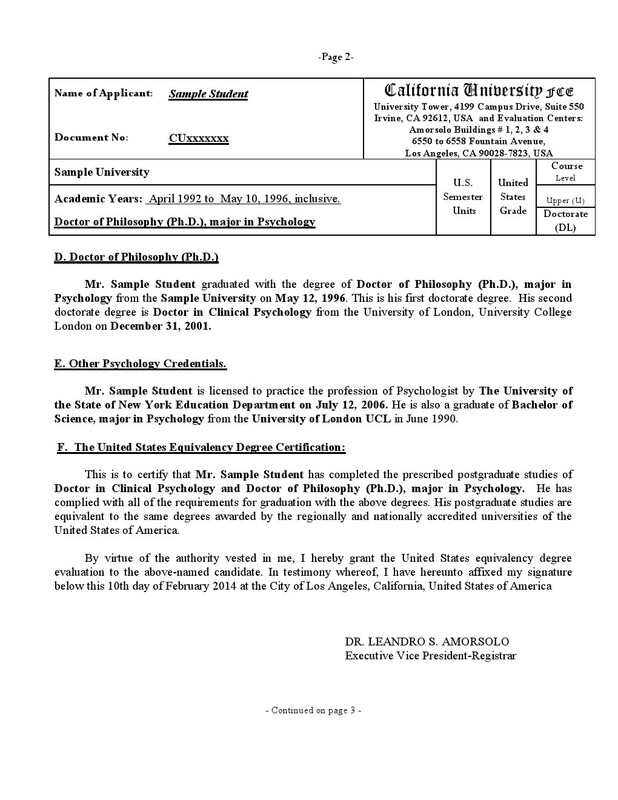 It is registered with the California Department of Education and BPPE. 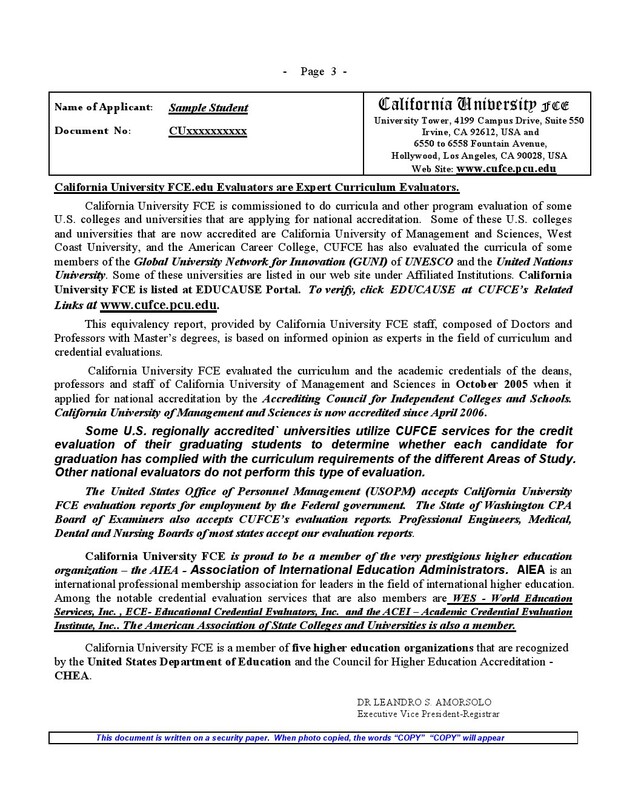 The United States Department of Education has listed California University FCE on October 23, 2009 in its Education Resource Organizations Directory with Unique ID No: 7499. California University FCE is also accredited by AAHEA – American Association for Higher Education and Accreditation. ***For students who have registered and studied with our regional partners, small fees would be charged for each set of General Report + Equivalency Diploma.